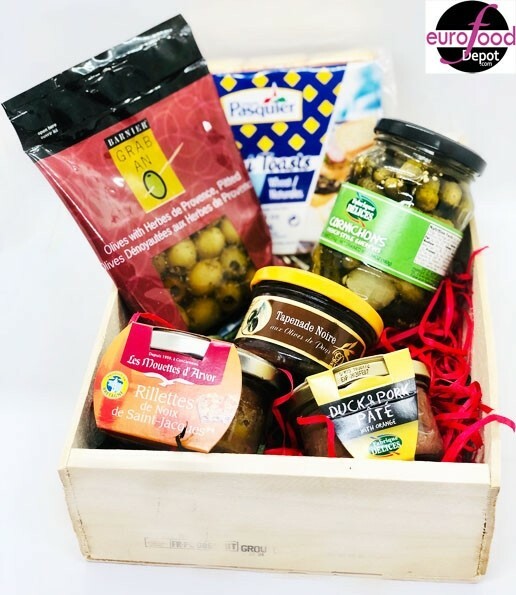 Special wood box : scallop rillettes , Black Tapenade , Duck and pork Pate, French pickles, Olive with herbs of provence, and Mini french toast by pasqier. ...read more. 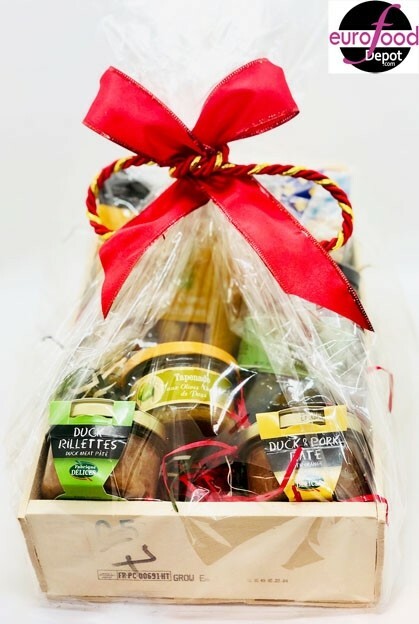 Special wood box : scallop rillettes , Black Tapenade , Duck and pork Pate, French pickles, Olive with herbs of provence, and Mini french toast by pasqier.